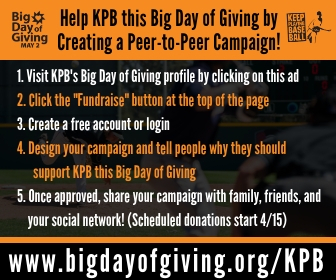 Join the Team: Help KPB Help Others! Thank you for taking the time to learn about our work at Keep Playing Baseball and for your interest in helping our organization grow and continue to reach an increasing number of players and families in need. When you step up to the plate to support Keep Playing Baseball, you are joining an incredibly caring and supportive community! Since launching our organization in 2012, the Keep Playing Baseball community has been the backbone of our charity work. Simply put, the generosity of our support community is the reason for our growing ability to impact the lives of the youth baseball players and families that we serve. 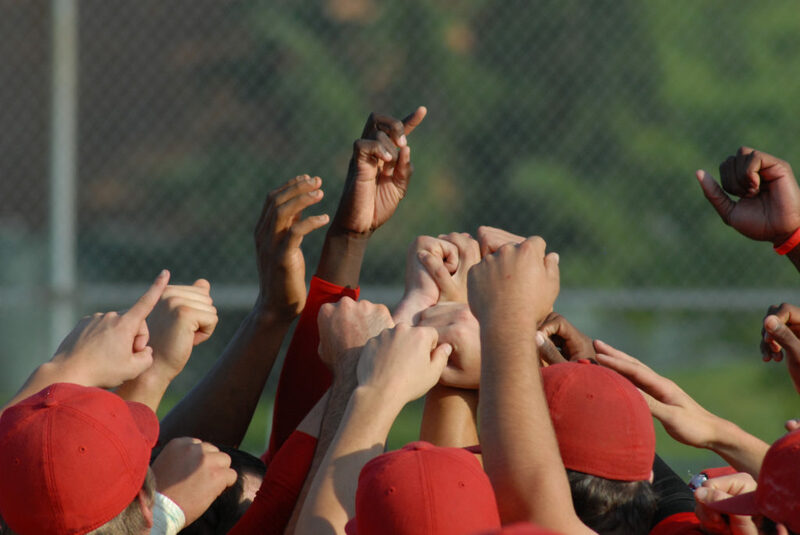 We want you on our team and we've created this page as a resource to show you the many ways you can help us grow and improve Keep Playing Baseball. Check out the different ways below! Unrestricted donations are our biggest need as we make our push to expand our resources and partnerships to reach an increasing number of players. We've tried to make donating in a number of different ways as easy as possible. 1) If you would like to make a one-time donation of any amount, you can do so through this website by clicking HERE. 2) If you'd like to become a recurring donor and "donate your change" to KPB each month, we've partnered with RoundUp App to make small monthly donations easy. Here's a short video on how it works and here's the direct link to sign up on desktop, Iphone, and Android! 3) If you shop on Amazon, consider using Amazon Smile! If you select KPB as your nonprofit of choice HERE, you can shop on Amazon Smile the same way you would Amazon and .5% of your total will be donated to Keep Playing Baseball at no cost to you! We are doing good work at Keep Playing Baseball and we need help spreading the word! Did you know that in 2018 our resources reached nearly 75,000 different people? Now imagine if each of those people spread the word about our free resources and services within their social network! You can help us do just that with your own social network. Help us leverage your social network to reach more people in need of our help! If you want to help, let's connect! If you have benefited from Keep Playing Baseball's resources or have feedback, please consider writing a testimonial or providing feedback! You can now send us a testimonial directly through this website by clicking HERE . Because we have chosen to prioritize accessibility and affordability, testimonials and feedback are critical for us to better understand the impact we are having and how we can continue to make our resources better. Not only do testimonials provide a powerful way of showing others that our free resources work, but they can be incredibly helpful for fundraising and grant writing. If you have questions, please email ethan@keepplayingbaseball.org for more information. Have you listened to our podcast? Help us climb the charts and reach more listeners by giving us a 5-star rating and leaving a review. Our podcast, College Baseball Recruiting 101 is available on iTunes, Anchor, Spotify, and Google Podcasts. We'd love your 5-star rating and review. If you are a current or former college baseball player or coach, share your insight with the next generation of college baseball recruits! We are always looking for current and former players and coaches to share their experiences through a number of different formats, including written articles, surveys, quotes, and podcast episodes. Check with us to see how you can help! We love hearing from our supporters. If you have questions about ways you may be able to help or simply want to provide feedback, we'd love to hear from you. Reach out through the website or by contacting ethan@keepplayingbaseball.org directly.